Lighting Single bulb 40W maximum. 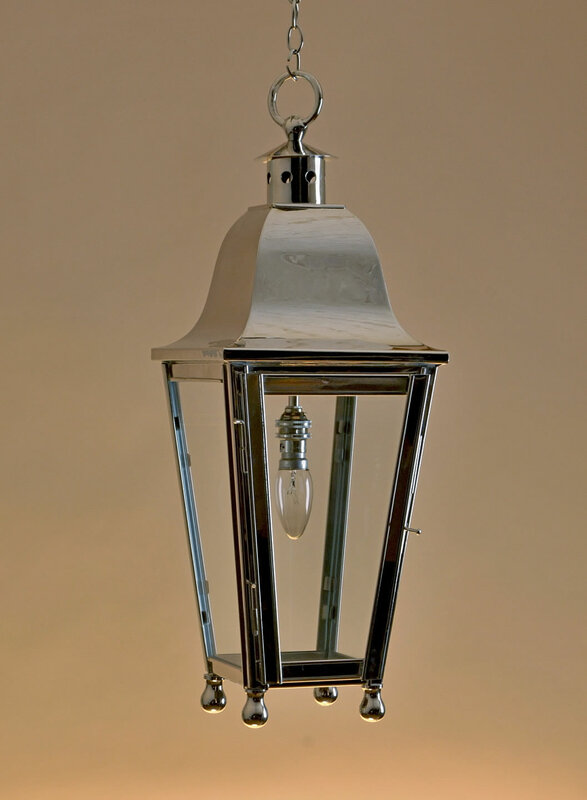 Finish The Dorset hanging lantern here pictured in polished nickel. Made in sheet and cast brass.